Sorry I missed you last week with the Mailbag. I was on vacation. Back at it! But I really need some more questions for future editions, so please hit me with your questions (@ceisenhood on Twitter, mailbag@ultiworld.com by email). The Mailbag is now for subscribers only. That’s going to do a few things: it will keep me committed to writing it every week. It will reward subscribers with a weekly column they can count on. And it will allow us to offer a free one-month Mini subscription for the best email or comment we get and publish in the Mailbag. If you’re already a subscriber, you get a free extra month (or a discount). If you’re not, you can come in and check out the benefits. You can email me anytime at mailbag@ultiworld.com with questions, comments, ideas — whatever you’ve got. 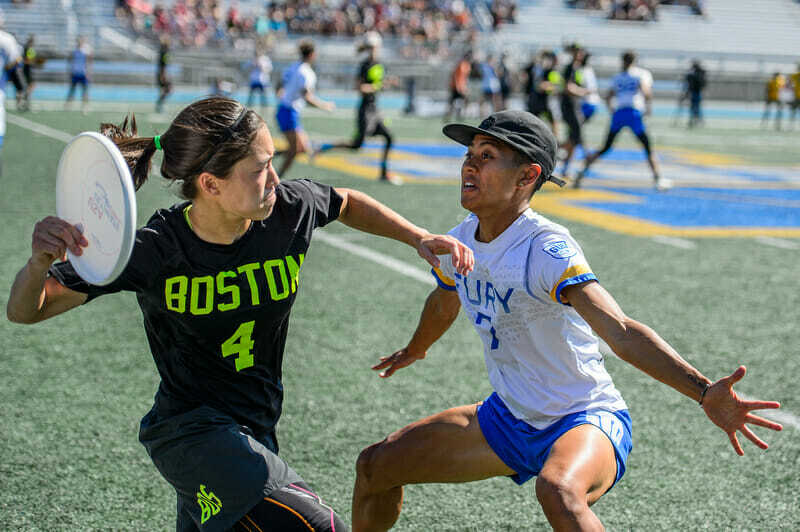 Q: Putting Revolution aside (their dominance is already well-documented), who stands out to you as favorites to lead the pack in the Premier Ultimate League? Who might fill the sleeper team/darkhorse role? And going, say, five years down the line, do you think those same teams would be in the same positions, or would there be some shake-ups? Comments on "Mailbag: PUL Power Rankings, Multi-Game Playoff Series, #TheBobble Redux"